I love this platform!! I love getting to talk about BIG topics openly and honestly. I've tried a few different formats for the podcast but what I love most is podcasting in short series: 4-6 episodes on one topic. 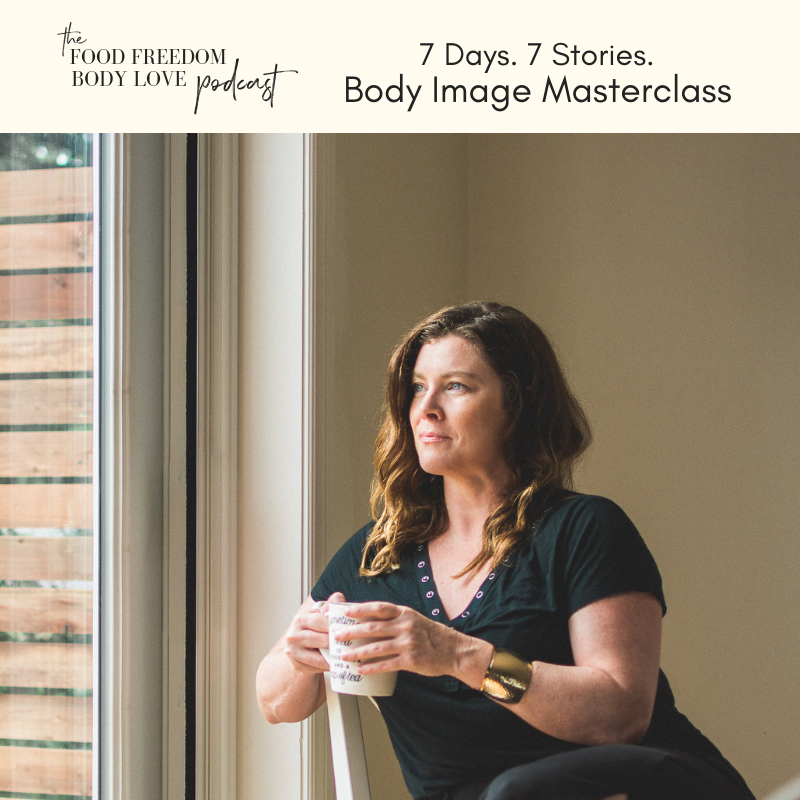 You'll find my signature Body Image Masterclass (called 7 Days. 7 Stories) below, as well as a series on Summer Bodies. Next up? A series on Intuitive Eating, Weight, & Body image for KIDS! Look for it this fall. I've also linked to some one-off episodes I think you'll enjoy. Dig in!!! The Moment We Realize Our Bodies are Wrong. In this episode Jillian explores The concept of food addiction. Are we actually physically addicted to food or are we addicted to something else? Tune in to find out! Stories from Kelsey miller, Isabel Foxen Duke, Geneen Roth, and Carolyn Myss. **Just to be super clear here, Jill is only talking about the relationship with food when she talks about the addiction archetype. Alcohol and drugs (and other forms of addiction) fall into a very different categories and we make no comment about the process or treatment of those addictions which are best discussed and dealt with via a specialist in those fields. Is the Body Positive Movement Problematic? 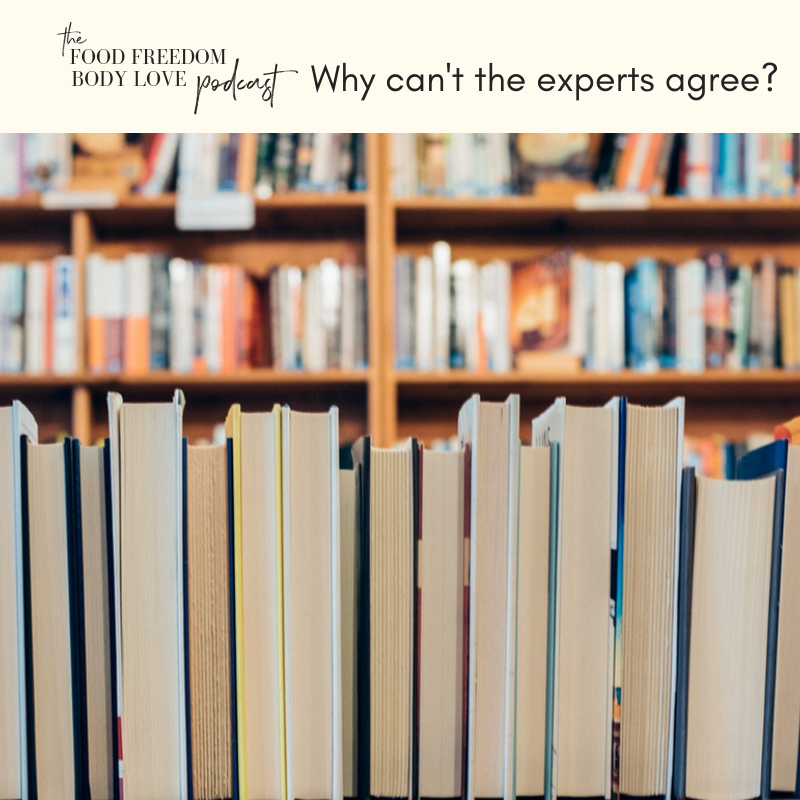 In this episode, Jill discusses a recent Instagram post by a fitness expert and influencer describing her feeling that "the body positive movement is problematic". The post mixed some interesting points of conversation with misunderstanding and a hefty dose of assumption. Jill explains why this (fairly common) type of confusing discourse - filled with inaccuracy and stigmatizing rhetoric - misrepresents the body positive movement and what Health At Every Size is all about. What is the summer body series? What are we going to be talking about? Why? In this episode Jill lays out the plan for the next eight weeks, as we sink into our bodies, release resistance to enjoying the beautiful months of summer, and find a way to get excited - just like we did when we were kids - about the hot, humid, lazy days ahead. Why Can't the Experts Agree? Why do we compare ourselves to other women? Why do we compete? Don't "real women" raise other women up? In this episode Jill discusses the reason women feel challenged by other women (especially around beauty and weight) and how to get out of The Compare & Despair game. Outrageousness as an Antidote to Diet Culture! In this episode, Jill discusses Outrageousness as an antidote to diet culture and a method for stepping into our own "brand of beauty". She defines Outrageous, discusses why have resistance to it, reads from women who own it, and suggests how we can support other women in their outrageousness. You'll hear readings from Naomi Wolf, Ashley Ford, Michelle Mary Lelwica, and Elizabeth Gilbert. Intuitive Eating and Body image for KIDS! the foundational information you need to teach your children how to be competent eaters - with the ability to manage food, weight, & health successfully for the rest of their lives. Learn more HERE. In this episode Jill discusses the movie I Feel Pretty, starring Amy Schumer - specifically, 3 important lessons for anyone interested in better understanding the cultural story line they are buying into around weight and beauty and why this movie has so many people talking (and criticizing!). What's a minisode you ask?? It's what happens when you plan to turn a totally incredible Facebook Live conversation on "mom bods" into a podcast but technology hates you and you waste an entire day with nothing to show for it!